Our experience with industrial/friction products at Industrial Brake & Supply goes back to 1971, and our custom manufactured brake products exemplify our tradition of high quality fabrications. 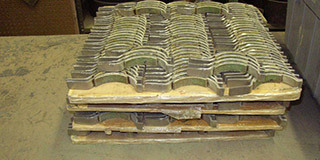 We produce brake products in a diverse array of frictions, styles, and thicknesses for our clients in Ohio, Tennessee, Pennsylvania, West Virginia, South Carolina, Georgia, and Florida. 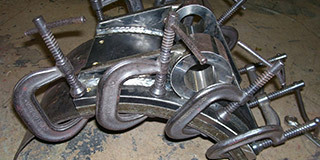 Our focus is on both on and off highway industrial products, along with in-plant applications. 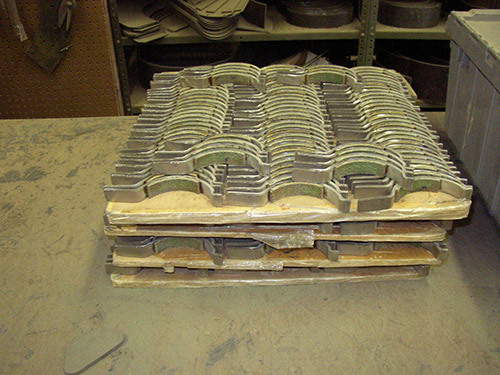 Our plant fabricates complete, high-quality brake shoe assemblies for a variety of applications, including electric hoist lift trucks, tow motors, and golf carts. At IBS, we have a variety of options available for our brake products, which include woven or molded linings and products that can be bonded or riveted according to our customers’ specifications. The thicknesses available for our products range from 1/32" to 1", with friction ratings from .12 C.O.F. to .60 C.O.F. 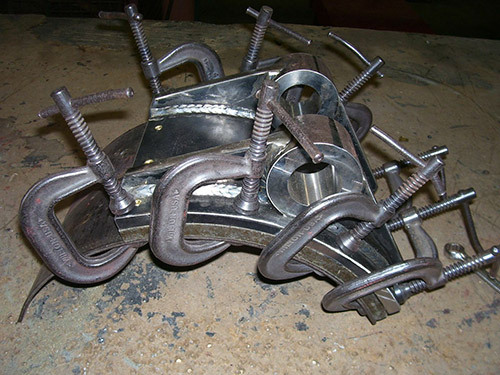 We also offer cast or fabricated carriers to suit our customers’ diverse needs. To learn more about our line of custom manufactured brake products and how they can work for you, please contact us directly.